20cm Avencore Crystal Series Stereo 3.5mm to 2 RCA Cable (Female to Male) + FREE SHIPPING! Converts a 2RCA Stereo device output into a 3.5mm AUX socket for use with headphones and 3.5mm stereo speakers. Great for connecting home theatre equipment with RCA sockets to 3.5mm stereo devices like headphone, speakers or PC line-in connections. 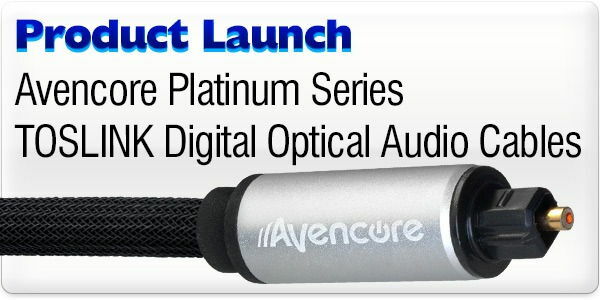 Works for both playback and recording for all your stereo hi-fi equipment! Answer: "Yes. If your TV has 2RCA stereo audio output, this adapter cable will give you a 3.5mm jack for headphone connection. Please note that it won't work if attached to RCA inputs." Answer: "It is hard to say for sure, as many TVs deactivate the speakers as soon as a cable is plugged into the headphone jack (sometimes even regardless of if the cable is conductive or connected to anything). To test, simply plug regular headphones into your TV. If the speakers deactivate, this cable will not make a difference. If your TV cannot be configured to run both speakers and headphones at once, you may need to use the TV's SPDIF output (if available) or use a HDMI audio extractor to grab the sound before it gets to the TV." Once again great service in interpreting what I needed from my poor description. Good price and fabulous delivery time, too. I keep recommending you to all and sundry! Well done!